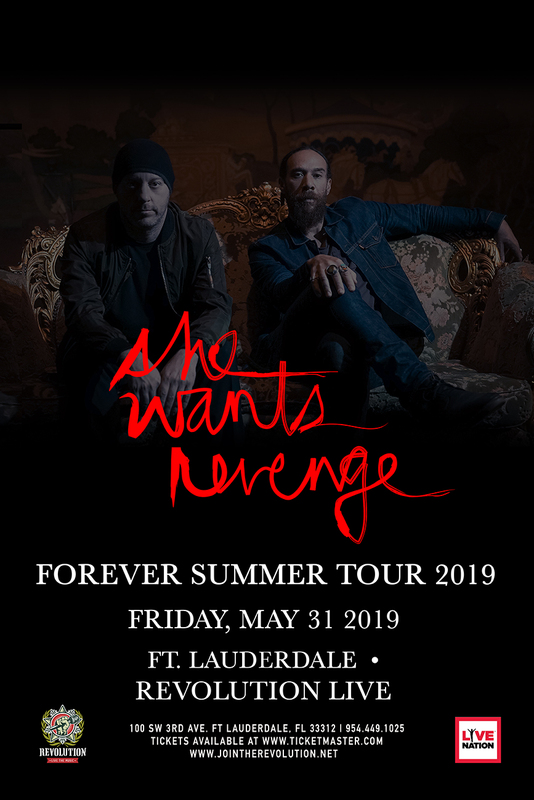 When Calif. based She Wants Revenge released their debut album it fast became apparent that they had created the soundtrack for the dark and debaucherous on many-a-dance-floors across the nation. 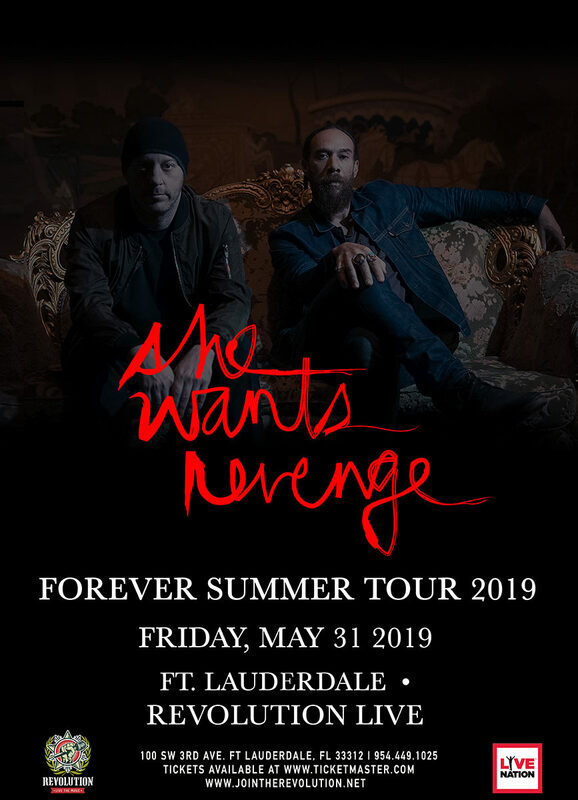 Much like their Electronic Rock fore-fathers had done so before, She Wants Revenge offered a voice and a rhythm for scorned lovers, bored housewives, jaded hipsters, gender-benders and club-kids across the nation, all seductively swaying their hips and pouting along to the undeniably catchy tunes such as “These Things,” “Out of Control” and the instant cross over hit “Tear You Apart.” By retracing the musical footsteps of their childhood, they struck a nerve in music fans everywhere, with their tales of betrayal, lies, and deceit. The band had realized that music fans craved more than the average love song, and if they were going to write songs, they wanted to explore the sides of male-female dynamics that are usually left unexplored and unexamined. Set to an infectious beat, they decided to sing about things you shouldn’t do, and the things one does when no one is looking.